Tales from Windy Meadow is the first game from Moral Anxiety Studio, a team of indie game developers based in Poland. This visual novel follows the story of three villagers in a small community outside a nearby kingdom. One dreams of becoming a bard; another must choose between an exciting career in the city and a life at home with her family; a third struggles to connect to the people around her. Each of the protagonists is presented on the menu screen and each has a chapter of the narrative devoted to them. You can choose to play through these in any order, and the stories intertwine and overlap a great deal without ever being repetitive. Tales from Windy Meadow departs from traditional high fantasy game narratives by focusing, consistently and thoroughly, on community — specifically, a poor rural community. Most of the high fantasy stories that we know and love (think Lord of the Rings, Dragon Age, Game of Thrones, The Witcher) sprawl over vast landscapes, more concerned with the fate of nations and sinister political plots than with the lives of common people. 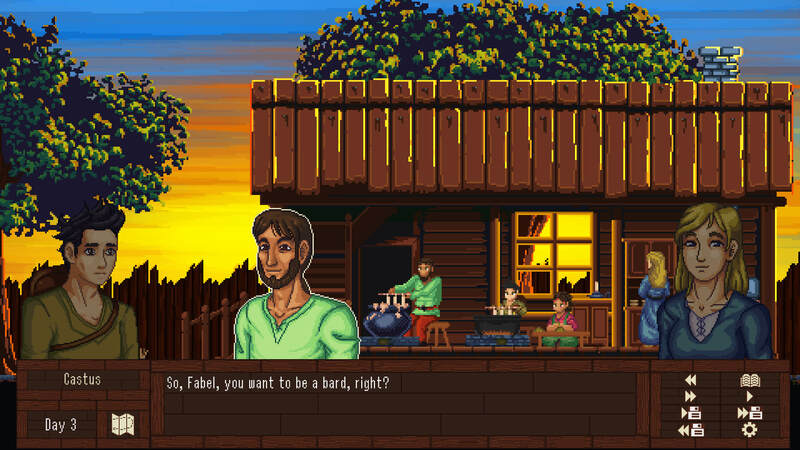 On the surface, Windy Meadow looks like the starting point for one such narrative, a village from which an epic hero might arise, but Moral Anxiety Studio takes a different approach to the genre. A neighbor asks Fabel about his ambitions. Instead of elevating a single resident above the rest, Tales from Windy Meadow takes care to bring attention to the complexity of each individual’s life and how it relates to the larger communal life of Windy Meadow. The world-building in the story is flawless thanks to the game’s keen interest in community and attention to detail. In the first chapter, regardless of which character you follow, Windy Meadow seems like your average fantasy village. As you play through other chapters, conversations and characters are contextualized through the many perspectives presented to you. A farmer who seems reserved and rude in one chapter is revealed to be nurturing and fiercely protective in another. A character who seems lazy and frivolous from one perspective is a kind and loving partner from another. 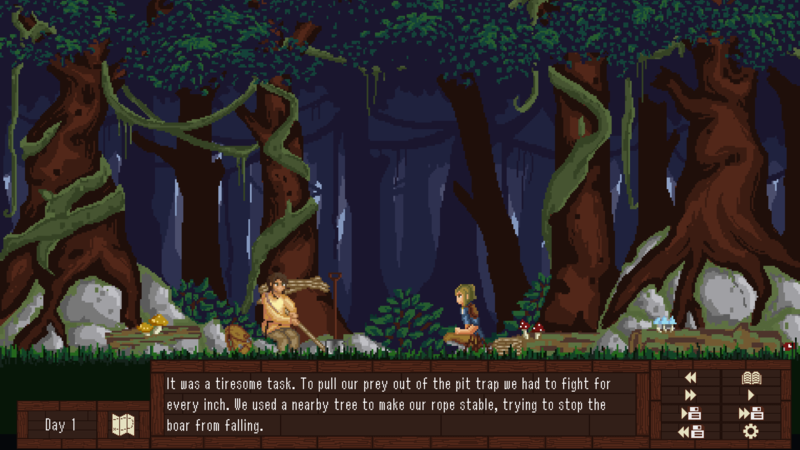 Beyond that, Tales from Windy Meadow is one of the few high fantasy games that I’ve played that addresses physical disability and neurodivergence without tokenizing its marginalized characters. One protagonist, Fabel, lost his legs as a child when bandits raided his home. Another, Iucidia, has trouble doing things like maintaining eye contact and making small talk with acquaintances, preferring to spend her time alone studying plants. These are just a couple of the clear signs signaling her as someone who could be on the autism spectrum. Fabel and Iucidia are treated respectfully and thoughtfully by both the writers and many of Windy Meadow’s residents. They are often misunderstood or misjudged by members of their community, but their struggles are nuanced, certainly not reduced simply to their levels of physical or social ability. Much of their narratives need not explicitly address their disabilities, allowing their identities to be defined by other traits and experiences that make them engaging and complex protagonists. One protagonist and her father catch some game. However, there are a couple of issues that can occasionally interfere with the immersive and detailed experience of Tales from Windy Meadow. While the dialogue is generally well-written, there are moments in which the language that the characters use is awkward, ungrammatical, or anachronistic. This is likely a result of the game being released in several languages, and grammatical errors are easy to overlook in most cases, but they unfortunately are jarring enough to disrupt the game’s otherwise remarkable immersion. Additionally, you have the ability to choose from several dialogue options for each of the protagonists in their respective chapters. While the choices are engaging enough to further your investment in the story, your decisions quickly begin to feel meaningless. It seems like the story proceeds in essentially the same way regardless of the words you select. The only choices that appear to really matter are the ones in the final chapter which determine the resolution of each character’s narrative arc. That said, even with no choices at all, Tales from Windy Meadow would be an absorbing and compelling visual novel. Ultimately, Tales from Windy Meadow is a quiet but engrossing breath of fresh air. In an industry full of violent and convoluted fantasy games, this visual novel is a refreshing and original take on the genre. 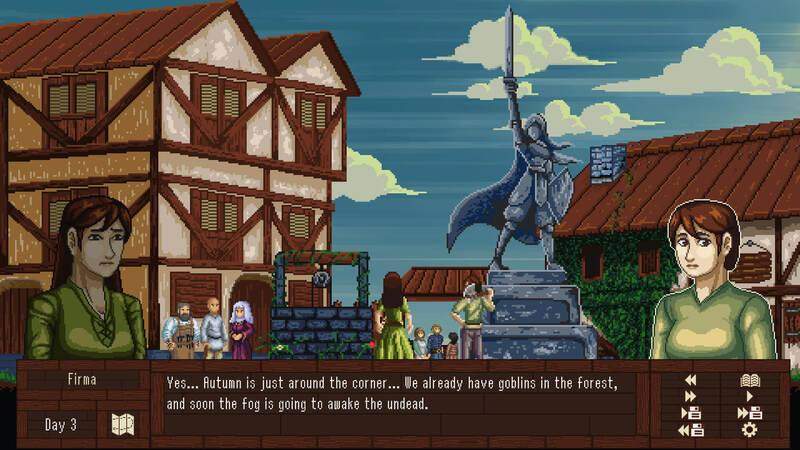 Any fan of high fantasy or interactive fiction of any sort would do well to give Windy Meadow a visit. Tales from Windy Meadow is available now for PC on Steam.